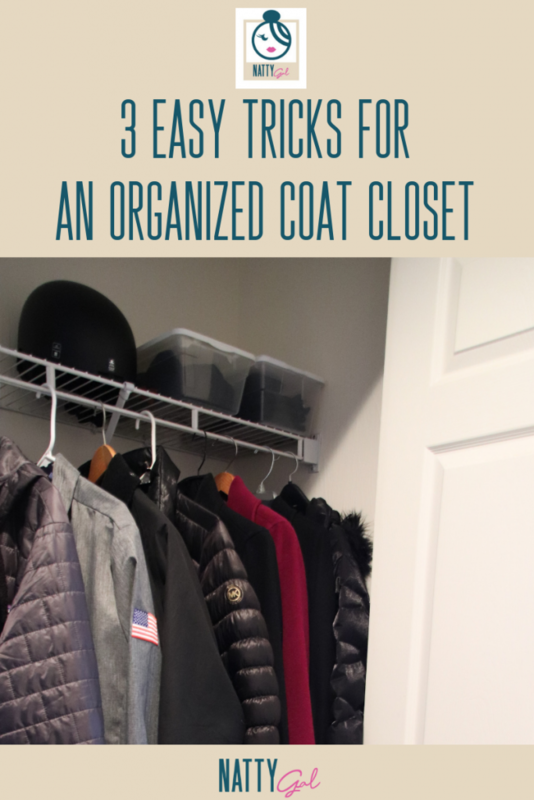 Before you start incorporating some of the tricks below, I recommend that you fully empty out your main coat closet and give everything a good review. Once you’ve decided what you want to keep, you’ll be ready to start organizing. 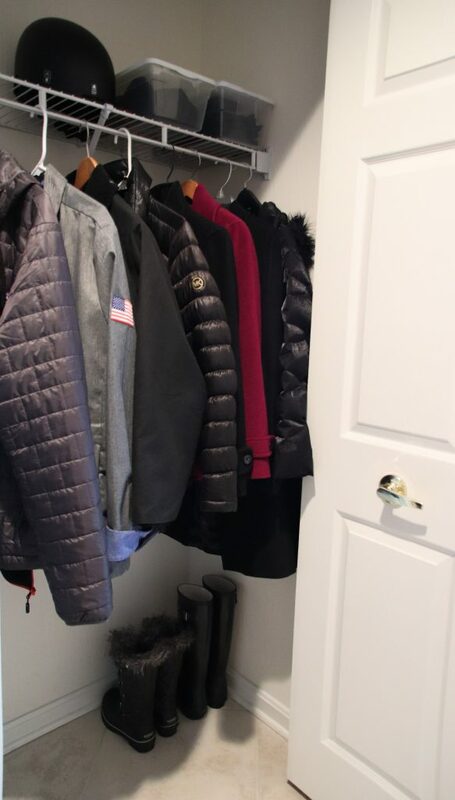 If your coat closet is somewhat limited in space like ours is, make sure that you store only current season clothing in this space. Sure, on the odd warm day you’ll have to run to a different closet for a lighter-weight jacket, but it will keep your main area much more tidy and organized! 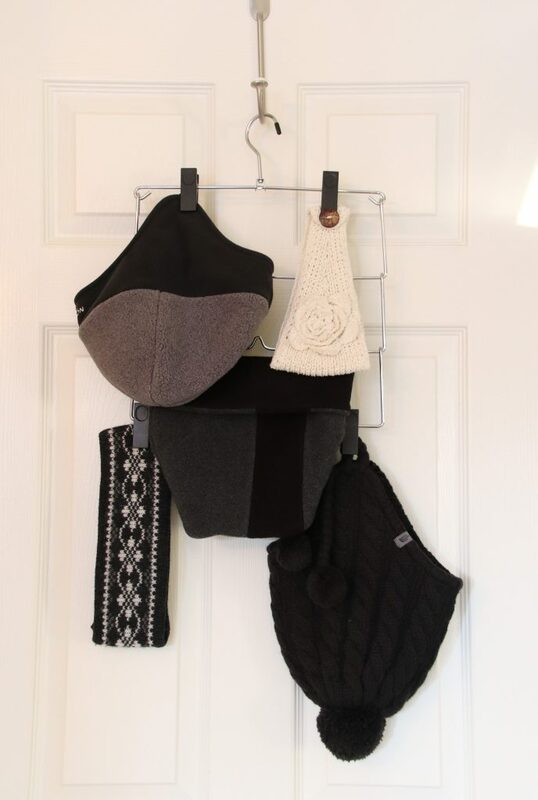 Clip-style trouser hangers are perfect for gloves, mittens, hats and headbands. In a small family, use one for gloves/mittens and one for hats/headbands. 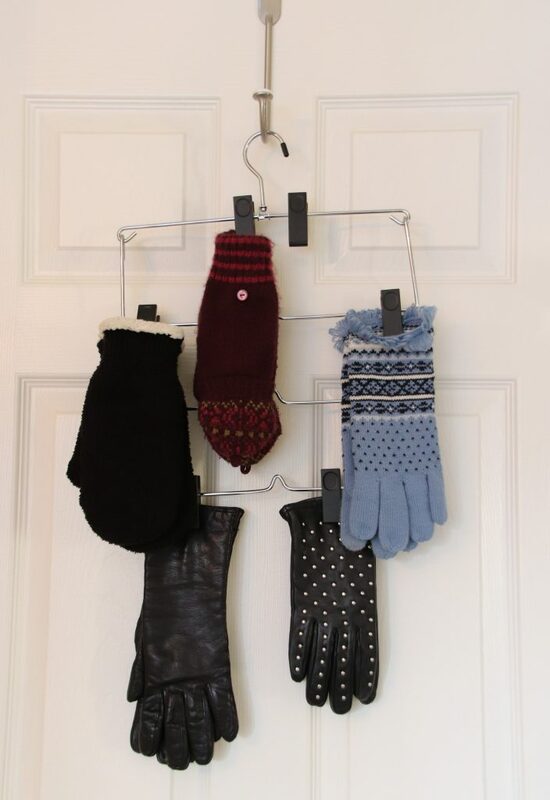 For a larger family, give each member of the household their own to hang both gloves and hats. I hang these at the left side of the closet so that they are the first thing you see when you open the door. For scarves, I like to use bar-style trouser hangers; preferably those that are open on an end for easier removal and storage. You can likely fit 12+ scarves on a single tiered trouser hanger and this style of storage makes it easy to leaf through your options and see your different colors and patterns. Our scarves get hung right next to the gloves/hats. I love clear shoe box containers for keeping small odds and ends together! In the coat closet, I use the shoe boxes for special purpose outdoor gear; namely ski wear. Each of us has a box that holds our goggles, heavy ski gloves, thin glove liners, neck gaiter/face mask, etc. They stack nicely on the top shelf where they are both out of the way but still easily accessible. Ski helmets hang from a hook at the top of the closet. When it’s time for an outdoor sports activity, we just grab that box of heavy-duty gear and go! RESULT: One neat and organized closet! 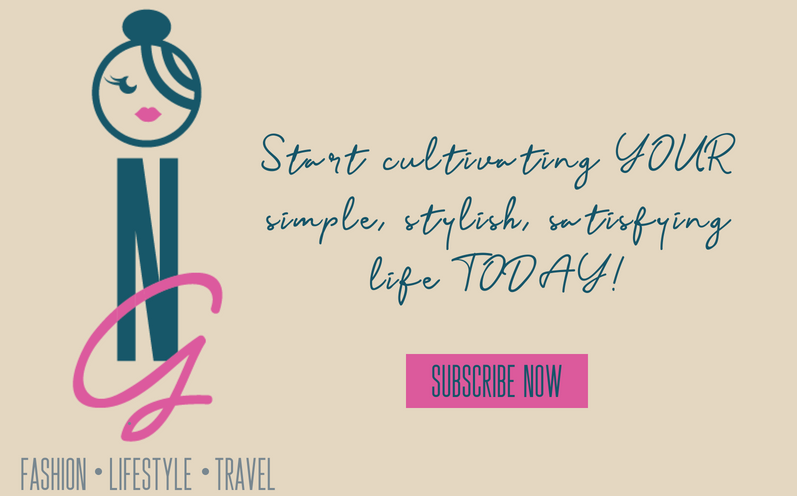 For more tips on getting organized, check out this post. These are great tips! I think the most problematic issue with closets, at least for me is that I can’t see some of my things. Like scarves, for example. My scarves are rolled up in a drawer and unless I consciously decide to wear a scarf, I can easily forget what I have. So I love this idea of hanging them. It’s a better way to visually take stock of what is in my closet. I hope your week is off to a great start and happy Tuesday! Glad you found the post useful! I have the same issue with scarves. 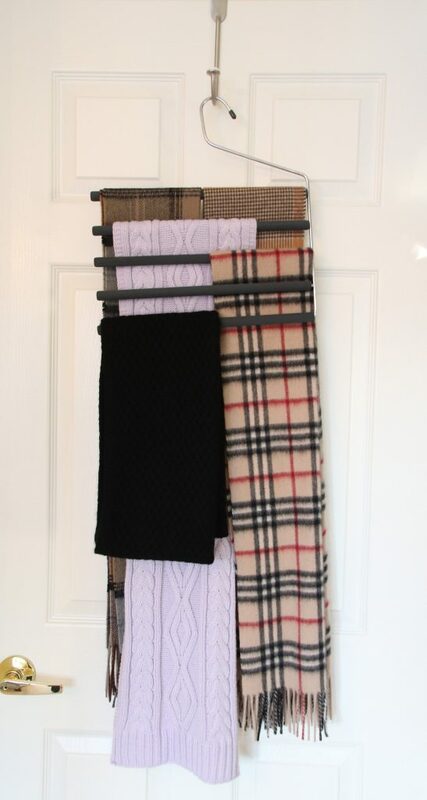 For the coat closet, I use the trouser hanger to display but for “fashion” scarves I Use one of those hangers that has multiple round holes and run the scarves through there. More space in my clothes closet than in the coat closet! Have a great week! Previous Previous post: A Happy Wifey OOTD!